According to experts, for the first time since 1664, the Sun will move into Capricorn a few hours after Saturn, creating a straight line which will have negative repercussions on the world. This news comes as a shock after the ravage caused by natural disasters like Harvey, Ockhi, Urduja, etc, across the world. In a cosmic event which is set to repeat after 350 years, the world might witness large-scale disaster or at least the beginning of an event that will bring long-term negative effects. On an individual level too, astrologers have warned people not to make big decisions or begin important enterprises on that day as it might badly backfire in 2018. 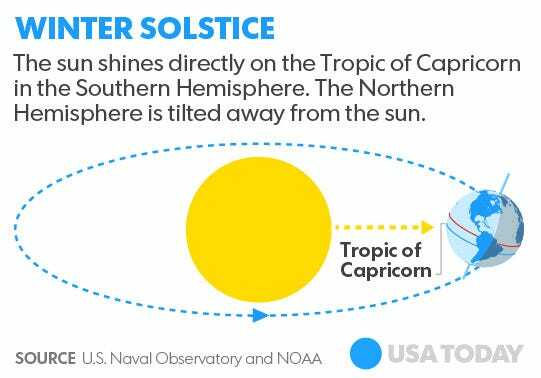 Astrologer and author Neil Spencer has warned on his website that this year's Winter Solstice will be different from the previous ones in a big way. "In one's personal horoscope, Saturn in Capricorn is a very useful placement, denoting one tough individual, but on a macro-level, it doesn't promise much in the way of fruitful change," says Neil. Additionally, Lunar Living, an astrology website, says, "You may feel limited and constrained today, but do not let that feeling keep you from living up to your obligations." It added that energy levels will be low on that day but one should take care of their business diligently. Many astrologers have advised people to think of the greater good if they are taking a decision on that day as any small action or incident might have the capability to affect the whole world. Feng Shui expert Jayashree Bose has also marked December 21 as a date that should be avoided for any major activity. The effects of this day will be felt until the end of December as the Mercury Retrograde will continue, i.e. the planet will show changed movements in the sky due to its position, reports Daily Mail. Recently, the world has been troubled by earthquakes, hurricanes, tropical storms and other such large-scale disasters. Another theory making rounds is that the giant planet Nibiru or Planet X will be hitting Earth soon, leading to the human race being destroyed or setting in motion a chain of events that will ultimately obliterate our planet.